Here at Burlington Catering we recognize the "One Size Fits All" approach just doesn't work for most people. While we share prices and sample menus we realize that might just not appeal to some or even more so often in today's economy, budget comes into play much more frequently than we all would like it to. While I'm not claiming we can provide Prime Rib at ground beef pricing....I am saying that regardless of your budget we are happy to try to work with you to come up with a workable solution to your every need. We do everything from high-end walk of fame dinners (Chef Fred helped cater this event as part of Brigade of Chefs for a few years) to Charity Christmas Dinners. With Chef Fred's 30 years in the industry and close relationships with local suppliers, we can beat our competitors Pricing. All our estimates and consultations are free and we provide one on one menu planning that just can't be matched. Also unlike our competitors we never double book events. 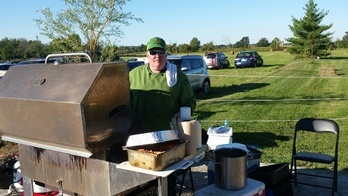 If you book Your event with us, Chef Fred will be at your event as your Chef. Its the best way we can guarantee the best Quality of food and performance from our staff. We encourage you to shop our quotes around. There is a reason we have bookings two years in advance. We simply won't be beat. And of course we accommodate all of today's allergy and dietary concerns or Vegetarian needs. We use organic and Humane proteins & Sustainable seafood. Come see why we are Burlington's Premier Caterer. Also, if your date is unavailable with us we will work with you to help find another Caterer to help with your event from our list of preferred local caterers who meet our level of excellence.